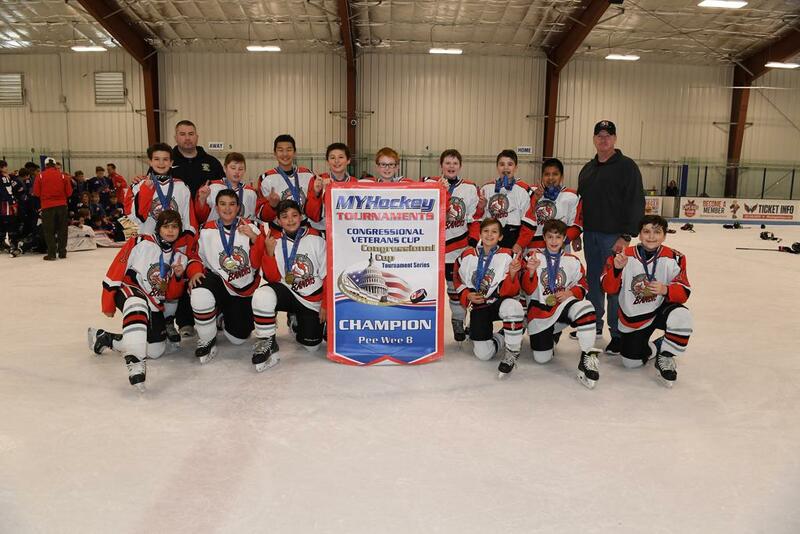 Congratulations to the 12U B Black team for capturing the MYHockey Congressional Veterans Cup. Finishing the Round Robin with a 3-0-1 record, the Bandits secured the championship over the Rooftop Selects 8-2 . ©2019 New Jersey Bandits / SportsEngine. All Rights Reserved.